Introducing the first ever collaboration between sisters Irene (of @simplygilded) and Ivy (of @bareivy)! 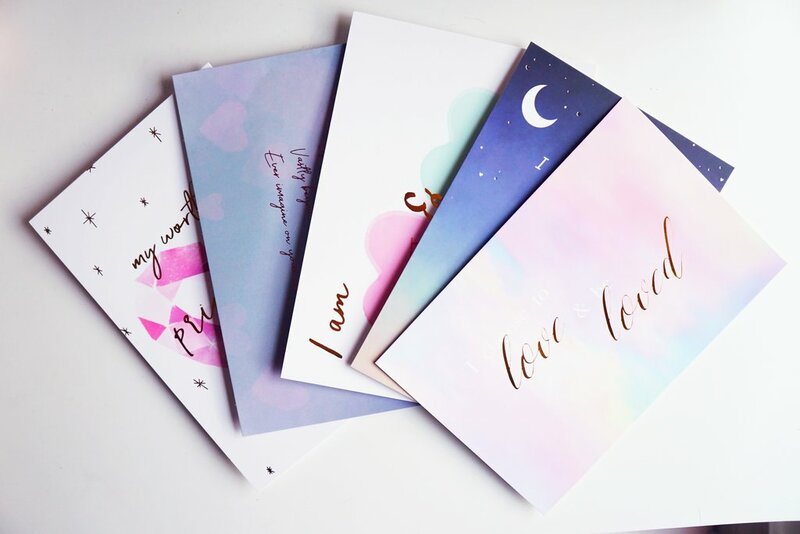 This set of 5 gorgeous limited run affirmation postcards are perfect for sending OR sharing - write yourself or a loved one a sweet message to be accompanied by an equally sweet reminder! Each set is prepackaged and has space on the back for a message, address, and a stamp. Postcards are 4" x 6" and are made of sturdy cardstock. Ready to restore your peace and reclaim your joy? Click here to schedule your complimentary 30-minute consultation now.